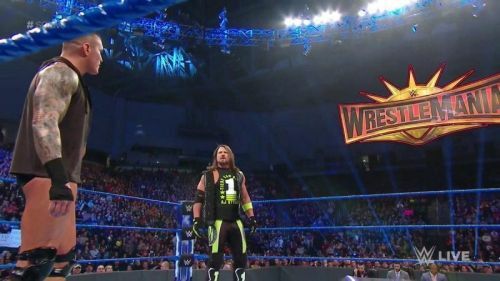 WrestleMania is just a few weeks away and the WWE Universe is all geared up for the biggest event of the year set to take place at the MetLife Stadium in New Jersey. The Showcase Of Immortals is where intriguing storylines culminate, legends collide and most notably heroes are born! Nothing can be said about the WrestleMania that hasn't already been said before. The 35th edition is on its way and it promises to be one heck of an event courtesy of the joyful ride up until this point. All major championships are set to be on the line as we can't wait for the mega event. While the main event is surely going to draw a lot of attention, the preliminary matches seem equally fascinating. Here we list down 5 preliminary matches to watch out for & early predictions as to how these bouts could turn out to be. Well, we all saw it coming, didn't we? The WWE Creative played its cards perfectly in bringing Shane and Miz together as a tag team and then breaking them up just to set up a singles bout at WrestleMania 35. While we all predicted it to happen, the way things broke down between the 2 was way out of our imagination! The Miz being a historic heel would've been expected to break his partnership with the commisioner of SmackDown which would then in turn set up a mathc at WrestleMania. But as they say with the WWE, things happen beyond our imagination and thats exactly what happened between the two. Miz and Shane faced the Usos at Fastlane to regain the tag titles but to their displeasure, the Usos retained successfully. Shane's feelings got the best of him as he attacked The Miz from behind and unleashed his wrath upon the awesome one. 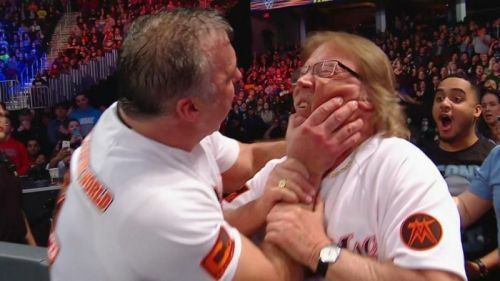 Shane literally crossed the line when he put his hands on Miz's father, thus making it personal between the two. Both superstars have the ability to put on an enticing show and expect a sensational match at WrestleMania between the two. Prediction: Shane-O-Mac might prove to be too much for The Miz. A face turn for Miz hasn't gone entirely pleasant in the past and the same can be expected for the future as well. Ecpect Shane to prevail following a hard-fought victory! Opinion: Is WWE planning Randy Orton vs. Batista for WrestleMania 35?